Light to dark blue or blue-green. One of the traditional birthstones of December. One of the oldest known gemstones, mined since 3200 BC. Worn by early Native Americans and Egyptian pharaohs. Various uses; commonly associated with jewelry from the southwestern United States. Often permeated with plastic or with colorless oil or wax to improve color and durability. Sometimes dyed, but this approach isn’t common and may not be lasting. All treatments must be disclosed. Because it is so porous, even if it has been treated, it can absorb substances on your skin like cosmetics, perfume or oil-based creams, which can affect color. 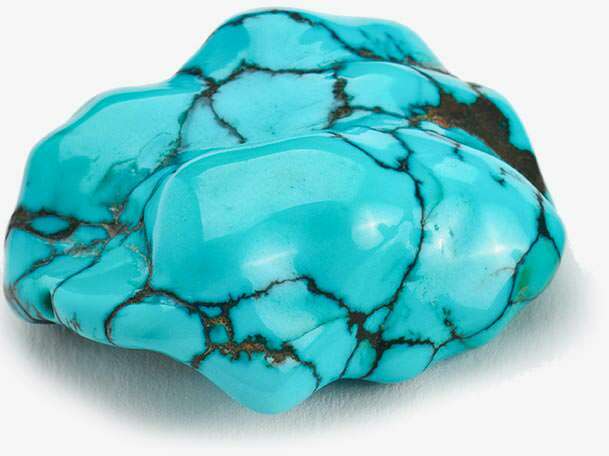 Turquoise shouldn’t be exposed to extreme heat or light.